With extensive experience in the portable site accommodation industry, our range of products has been carefully selected to ensure that our customers receive the highest quality, at all times. You can view all of our products below to learn more which one best suits your storage needs. With Anti Vandal ranges available, you don’t have to worry about theft or vandalism with our wide range of temporary site accommodation units. 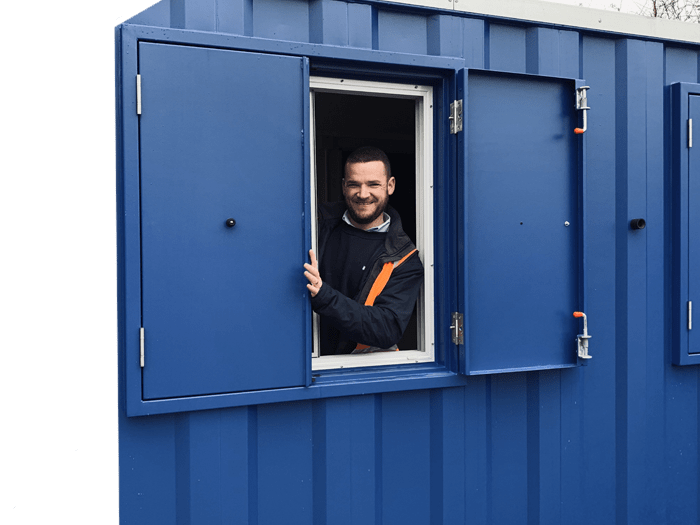 From single door to bespoke units, these secure storage containers can be used in a variety of site locations, making them a flexible solution for your needs. Ensure that your business complies with the latest Health and Safety at Work legislation with the Solo Welfare range of site accommodation, including Solo 6, Solo 16 and Combi. Available for rent or sale, these portable shower and toilet units come in a range of forms, making them the perfect solution for larger sites or smaller contractors. Complete with Smartweld technology, our temporary fencing can come as part of our all-in-one package or as a one-off rental, making it a flexible, affordable solution. If you’re searching for more permanent site accommodation units, then our used sale items are for you. We maintain our own stock, so you can sure of the quality. Then take a look at the self-storage service that we’re able to offer. All our units are available in a variety of sizes, with fully insulated, with electrics and internal heating. which offers optimum security, making them ideal for robust site accommodation. which come in a variety of styles, available for sale or long-term hire agreements.